Join PRSA on 7/27 for our Summer Party! Join your fellow PR practitioners from the Capital Region for the annual PRSA Summer Party! 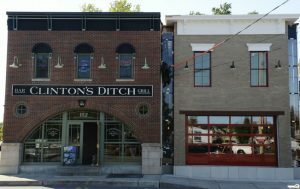 Wednesday, July 27, 2016 | 6:00 – 8:00 p.m.
Join PRSA Capital Region on the back patio at Clinton’s Ditch in Schenectady for our annual Summer Party! There will be food and drink tickets included with your registration and a private bar. Jim Salengo, Executive Director of the Downtown Schenectady Improvement Corporation (DSIC) will give a welcome and brief update of all of the developments happening in Schenectady. Mingle with your fellow communicators in a fun, relaxed setting, and get an insider’s view on the growth of the city of Schenectady. Don’t miss out–register now!